My favorite magical girl is back after nearly 20 years! 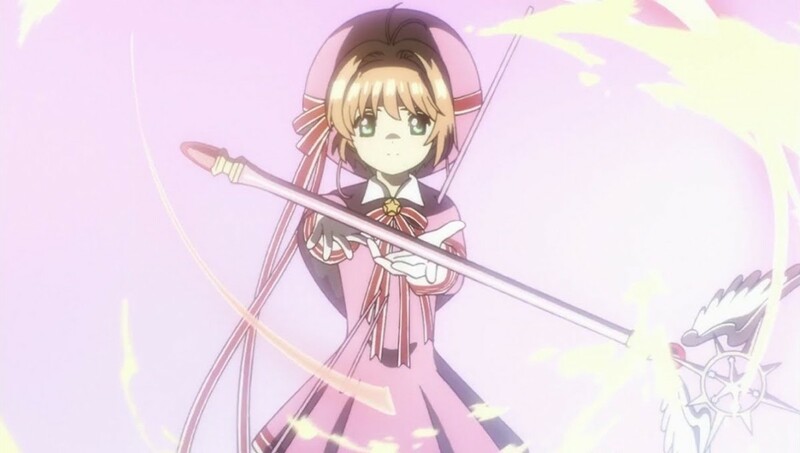 Sakura Kinomoto has just started Junior High and steps back into her role of Cardcaptor when mysterious events start unfolding around her. With her guardians Kero and Yue there by her side for council, Tomoyo is never far behind with a camcorder to record the adventures. Syaoran even makes a return and promises to stay by Sakura’s’ side from now on! Their romance now has a chance to bloom! With new dangers around, a cloaked figure that wants Sakura’s powers and her cards disappearing. There are plenty more adventures for Sakura and her friends. I honestly can not get over the fact it has been 20 years since Cardcaptors hit our TV screens way back in 1998. This was the first anime I ever saw as a kid and it burned its way into my mind. This show started my passion for anything Japanese, including anime, manga and looking for people to connect with over this style of animation. So when news broke that the show was getting a second season, well you can just imagine how excited I was! Sakura has grown up a little bit since the last time we saw her, although it has only been perhaps a year for her character. Now starting Junior High with several of her childhood friends, Sakura is focusing on her school work and trying to get to conquer maths. With Eriol back in England, Sakura continues to keep in touch with him about life and magic. Even though there has been two decades since the last season, you can see that has been reflected by the advancement of technology used in the show by the characters. Tomoyo, ever afraid to miss a recording of Sakura in one of her outfits, adapts a drone to follow her when the action begins. All of our favorite characters return in some form, a bit more grown but ever the same personalities. Touya and Yuki are now in college, whilst Sakura and her friends have progressed to Middle School, but as ever Kero chan is still Kero chan. We also see a foreign exchange student joining Sakura’s class, Akiho Shinomoto, a girl much like Sakura, pure and sweet, but what secrets lie behind her smile! This exchange student is certainly going to be the centre of this season, as to what her part in all this is, is still a bit of a mystery. Cardcaptor Sakura was created by an all female group of Japanese Manga Artists known as CLAMP. Debuting the manga series back in 1996, which is also completely published in English. The anime was adapted by Madhouse studios, who also animated CLAMP’s other manga works into anime, including X, Chobits and Kobato. 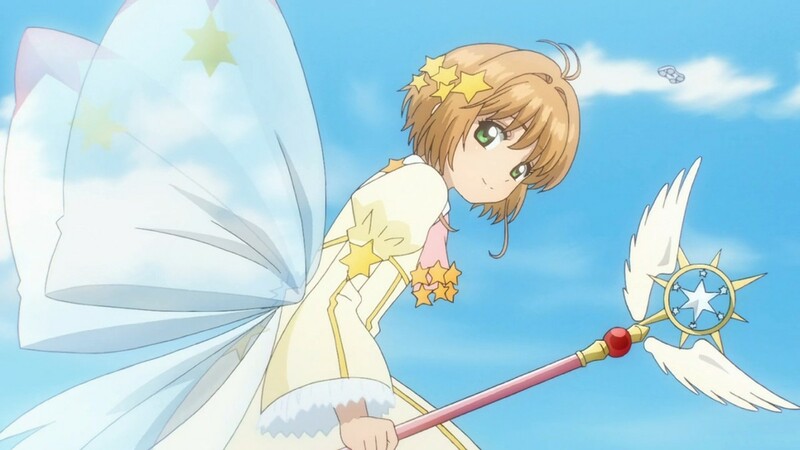 Cardcaptor Sakura: Clear Card continues on more or less where Season 1 ended. Once again animated by Madhouse and also with the original director – Morio Asaka. You can also either watch this in English, or like me, in Japanese. Prologue episode, that is just a re-write and re-animated version of the final episode of CCS back in 2001. Which seems to be completely disregarded in Episode 1 of Clear Card. You’ll know what I mean when you see the flashbacks of the first episode when you watch it. A strong start to the next season of Cardcaptor Sakura, even though it has been such a long wait for this! To make up for lost time, why not sit down and revisit the original CCS in order to get ready for this next adaption. Even though this was only part one, the episodes do raise more questions than they answer, but after all that is what Part 1 is meant to do. Fingers crossed Part 2 will give us a satisfying conclusion to the show. 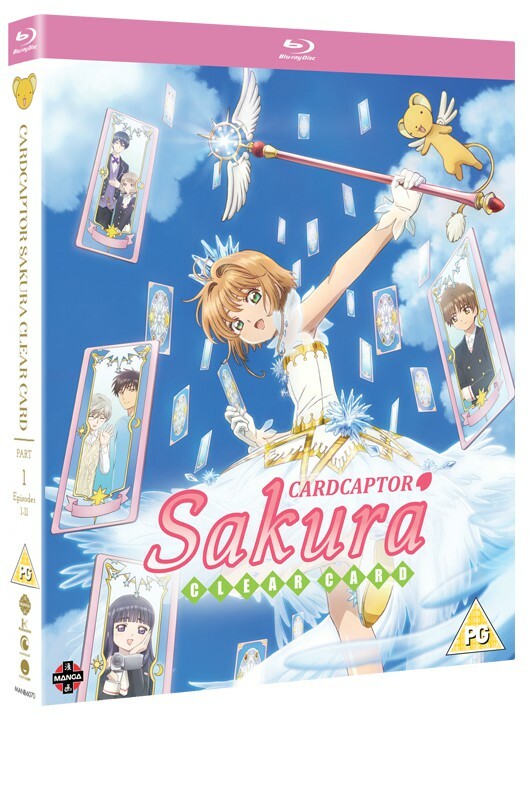 I am hoping that 2019 will be the year that one of the UK’s Anime distributors will be able to release the entire Cardcaptor Sakura uncut/uncensored Japanese collection here. I will except DVD, but if it gets a Collector’s Edition Blu-Ray release, well then, that would be MAGICAL!